The tiny orange chair with the wobbly backrest. The high-backed wooden chair that looks sort of like a throne. 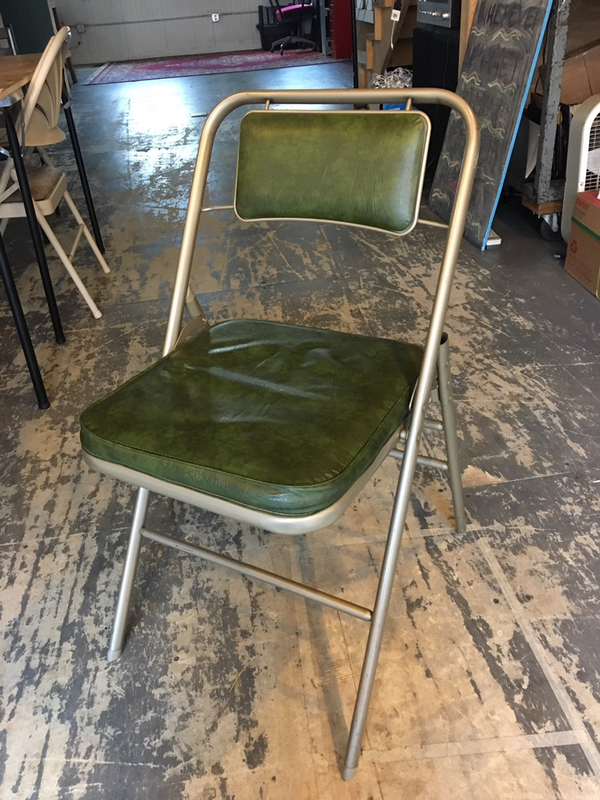 The die-cast aluminum vintage office chair with a sticker that says “Benji” on it. The chair with a maroon vinyl cushion that’s split completely open, exposing the springs. The chair that breaks in half while you are sitting on it. The two folding chairs that are mostly splinters. The sort of sixties-style low-slung chair covered in (again) maroon burlap ripped at one corner to show the yellow foam beneath. The hard plastic stackable chair. The chair with only three legs. The three short chairs with turquoise vinyl seats. The black ergonomic swivel chair that seems perfect but slowly and inexorably sinks you towards the floor. This is a chair that I actually quite like.